New cluster cover with reset button. Two Ford Think body peel-off/stick-on clear and silver decals. For front and rear. One start switch decal (mode switch). 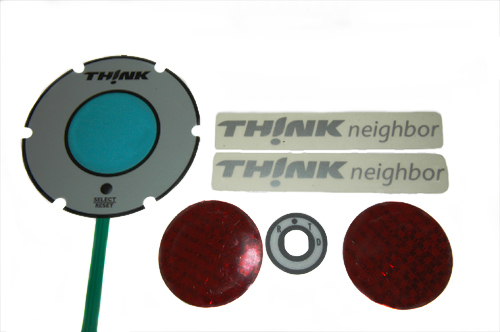 Two red safety reflective stickers. Mount on side of rear roof column.